Flat shady site on edge of Rhône valley, ideal for nature lovers. Michel and Yvette will take you round their farm (animals, exhibition). 1 hectare natural campsite with 25 pitches and 20 power points. Toilet block: 4 washbasins, 3 showers, 3 WCs. Caravans for rent. Children's games. Table tennis. Donkey rides. Fixed price for 1 or 2 people: 11€. Pets: 1.5€. 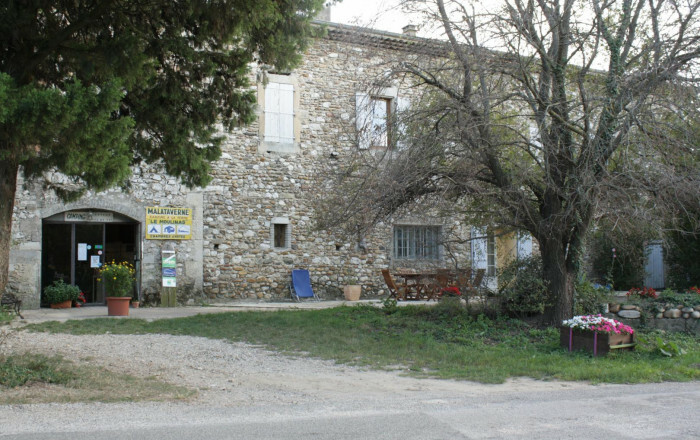 2km from motorway (Montélimar Sud exit).